Yesterday, Qualcomm announced their new beast chip in Hawaii and here are all the details about Qualcomm’s new Snapdragon 845. The basics here are that it provides a boost in some key areas, like battery life, performance, connectivity, imaging, and AI! 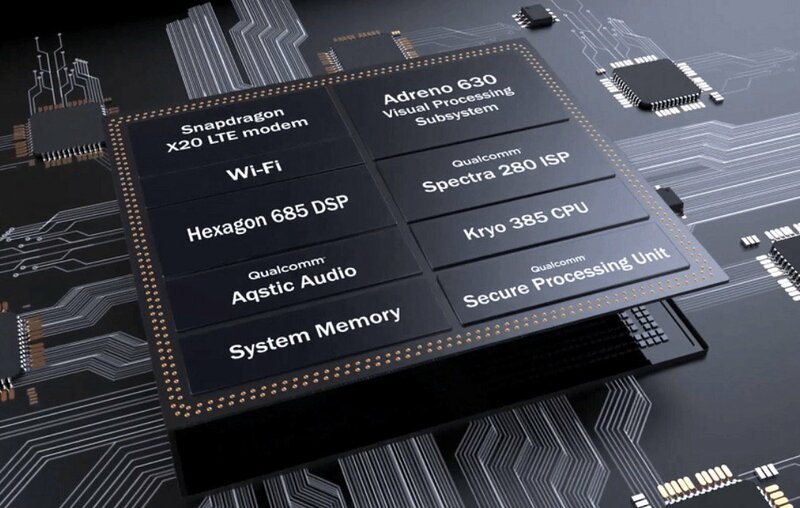 Qualcomm has also completely redesigned the Spectra 280 ISP inside the Snapdragon 845 from the ground up for improved performance. The ISP is now capable of recording slow-motion videos at 480fps in 720p resolution along with 4K+ videos at 60fps. It can now also capture up to 64x more color information than before and make use of multi-frame noise reduction and accelerated software image stabilisation to reduce the load on the GPU. Other notable features include 10-bit HDR support, Rec. 2020 gamut for 4K/UltraHD content, and more. That Adreno 630 will bring the fire in Extended Reality (XR) situations too which are VR and AR. The Snapdragon 845 enables “room-scale 6 degrees of freedom (6DoF) with simultaneous localization and mapping (SLAM) – for features such as wall-collision detection.” So it’ll help you not bust your face when hella deep in some VR goodness.